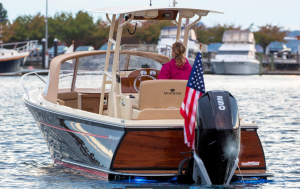 The new Vanquish 26 Center Console is a user-friendly, hand-crafted, all-purpose boat with a Downeast look and a fast, fuel-efficient and stable hull, all designed by Doug Zurn, one of the best in the business today. 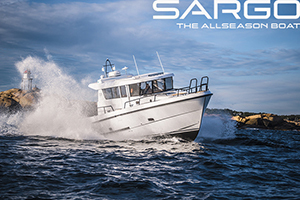 It has a long, straight sheerline, bow flare, generous tumblehome and enough teak accents to keep a purist happy, while its 53-plus mph top speed, driven by a state-of-the-art 250-hp Mercury Verado outboard, will give an adrenaline rush to even the most jaded boat owner. In its new 2019 model, Vanquish has added a modest forward cabin to the 26, making it a center-console-plus. The cabin is large enough so two adults could take nap there, or you could put your children to sleep there. And it’s always useful as extra storage space. There’s U-shaped seating just aft of the cabin, protected by a canvas dodger, and a seat at the front of the console, as well as a bench seat aft against the transom. All told, the boat has seating for ten adults. And, in its appeal for a family market, it also has a porcelain fresh-water head (with a nine-gallon holding tank) accessed through a louvered teak door on the starboard side of the console. Also new, is an aeronautically-inspired, light-weight hardtop, designed for running at speed. It also holds the electronics that you don’t want on the teak helm, which has enough room for a pair of multifunction displays. To stake out its position as a top-of-the-line boat, Vanquish is building the new 26 with expensive stitched triaxial e-glass and premium epoxy. At a top speed of 53.6 mph, the Vanquish burns only 23.4 gph, while it gets 2.2 mpg. At its most efficient speed, 31.7 mph, it burns just 8.0 gph, and gets 4 mpg. At an easy cruise of 16.2 mph, it burns 6.5 gph and gets 2.5 mpg. All this means that Zurn designed a hull that is fast and fuel efficient through the speed range. 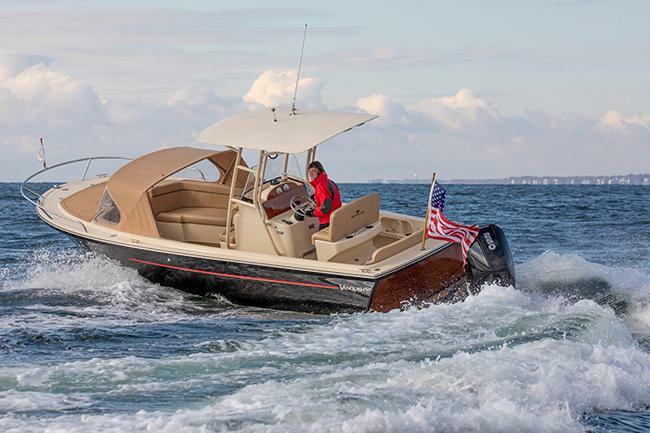 With offices in Marblehead, Massachusetts, Zurn has designed boats for MJM, Duffield, Marlow, Bruckmann and Samoset, among other builders, plus the Shelter Island Runabout and Billy Joel’s Vendetta. He told me that the Vanquish 26 CC has three design features that make it “one of, if not the, most efficient boat in its class with a dry, smooth ride.” They are: A deadrise aft of 16 degrees, which enables the boat to get on plane quickly while providing a stable platform at rest. A hull that transitions into an aggressive 33.5-degree deadrise at the cutwater (where the bottom first makes contact with the water while running), which enables it to slice through the waves with little bow rise. 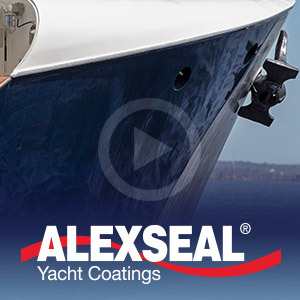 And the hull bottom and topsides that are fully cored for better strength-to-weight ratios. The hull also has a prop pocket for shallow draft and a lower prop angle. Wide lifting strakes help it get on plane quickly, while the sharp bow entry powers through a chop and the bow flare deflects spray. 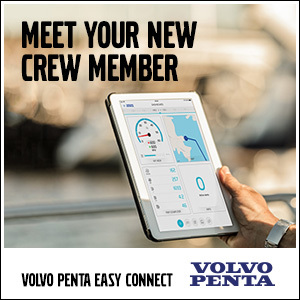 All this adds up to a 26-foot boat with a 35-foot boat performance. The Vanquish line, now stretching from 21 to 26 feet, was started by Morgan Huntley in 2010, when the boat business was just beginning to come out of the 2008 recession. Huntley, now 38, grew up boating on Long Island Sound, and graduated from the International Yacht Restoration School in Newport, Rhode Island, and the Landing School of Boat Building and Design in Arundel, Maine. 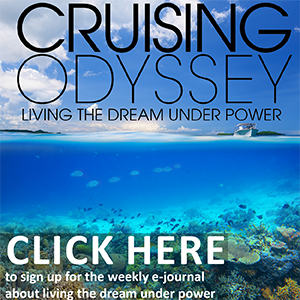 He lived aboard a 43-foot Pearson trawler for eight years and worked first for Hinckley, and then for Outer Limits, almost polar opposites in the powerboating world. 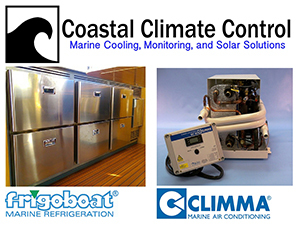 Then he started a refit and repair company, Morgan Marine Service, in Bristol, Rhode Island. Vanquish dates to 2003 and the start of Vanguard Powerboats, classic lake boats, on the St. Lawrence in upstate New York. Vanguard shut down in 2008. Huntley bought the tooling in March, 2010, and set up his office at the Newport Shipyard and production in Bristol. Vanquish has been growing ever since. It will introduce a twin-outboard boat in the future. For now, the Vanquish 26 Center Console is a high-quality, fast, easy-to-look-at and easy-to-use all-purpose boat for a couple or small family. Take it fishing, on a picnic or a day or weekend cruise. 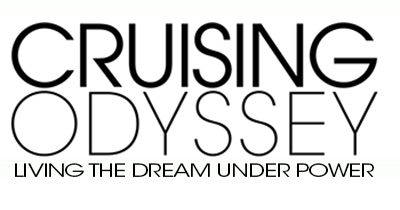 It can be a first boat for people starting out, a new boat for people downsizing from a larger boat, a second boat that you can just climb on and enjoy if you have a larger boat, or even a tender for a megayacht. And if you drive it, the new Vanquish will quickly put a smile on your face. Specs. : LOA: 26’8”; Beam: 8’0”; Draft: 1’7” (engine up); Disp. : 4,200 lbs. ; Fuel: 75 gals. ; Water: 14 gals. Power: 1×200-hp Mercury Verado. Base price: $181,800.